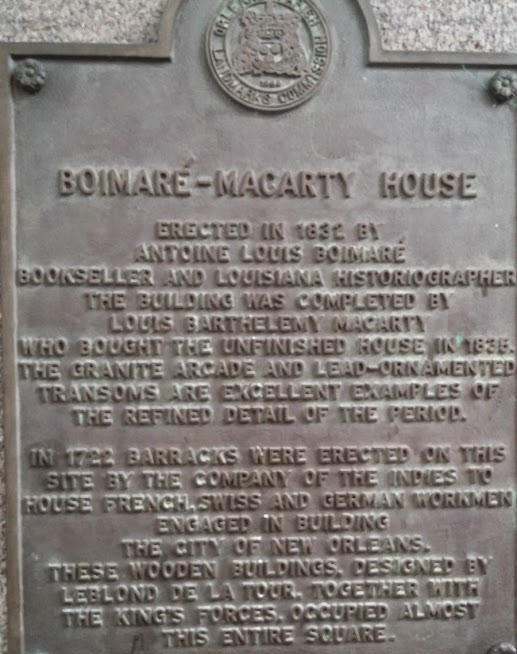 a3Genealogy: Where Have You Researched in New Orleans? 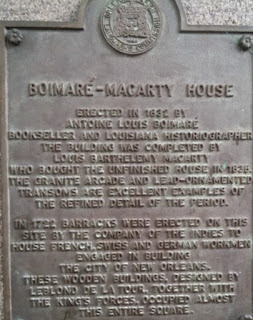 Where Have You Researched in New Orleans? Many researchers bypass the small archives that hold our ancestral histories. Small archives may be located in historical hotels, specialty museums, and small college collections. Some might ask, are these searches worth it? Well, the answer is YES!. You'd be amazed at how many brickwalls have been solved by "small archive research." After the internet and subscription (and free Familysearch.org) research has been exhausted. The National Archives collections, State and Historical Archives, local Genealogical Societies (state and counties) have been scoured, and the court records come up empty, it's time to go to the small archives. What do you have to lose besides a bit of time? What do you have to gain? Answer: "additional regional resources" and the satisfaction of knowing that you are doing a reasonably exhaustive search. 1. 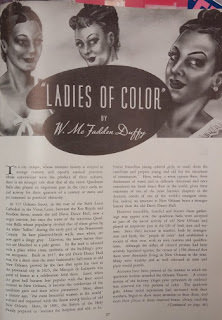 Louisiana Historical Society (LHS) : Thanks LHS for sharing a list of Resourced for Research in New Orleans. This list was used especially for my pre-planning. You never want to exchange the time in the field, for time you can do from your home office. 2. New Orleans Genesis. Sometimes you need a comprehensive list of books, resources, bibliographies or just possibilities. Again as part of preplanning be sure to review the information provided by the New Orleans Genesis, the "official publication of the Genealogical Research Society of New Orleans." This newspaper link provided footing for our "street-side" research. 3. Touro Infirmary Archives. From their website: "Founded by Judah Touro in 1852, Touro Infirmary is New Orleans’ oldest private hospital. Its collection (1852 to present) includes the hospital’s historical records, annual reports, minute books, 19th-century admission records and photographs." Yes, we love minute books! 4. City Archives and Special Collections of New Orleans Public Library. Know that this repository is worth the trip. This is the "Official municipal archives for the City of New Orleans (1769 to date); repository for Orleans Civil (1804-1926) and Criminal (I 83 0-193 1) Courts; map and photograph collection; card indexes to obituaries and news items in local newspapers (1804-1972); nonarchival manuscripts, rare books, genealogy, and carnival collections." 5. Office of Archives, Archdiocese of New Orleans. The archives has four main sections: sacramental and cemetery records (1718 – ca. 1900); archdiocesan historical records (Spanish colonial period – present); several manuscript collections (e.g., Baudier Collection); and a small research library. The archives serves as the archdiocesan records management office. Be sure to secure an appointment in advance. 6. Tulane University . Be sure to visit the Archival Guides that include both the Tulane University Archives and Louisiana Research Collection. We particularly favor the Howard-Tilton Memorial Library filled with Commencement programs and student transcripts (1834 -1978). 7. Loyola University, New Orleans, J. Edgar & Louis S. Monroe Library. 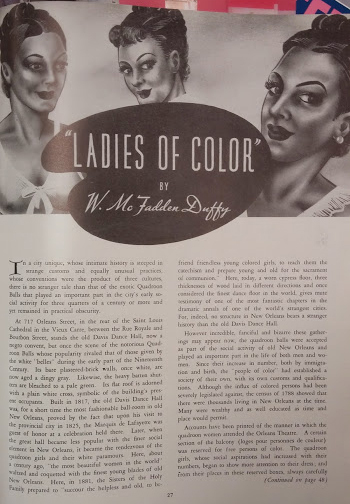 The Special Collections and Archives at the New Orleans Province Jesuit Archives housed in the Monroe Library at Loyola University, held a surprising find. We began with the Digital Archives. 8. Xavier University Archives and Special Collections. A must for African American genealogical research and Gulf-Caribbean region research. This repository has an impressive of unpublished papers. The vertical files were worth the visit while researching an ex-slavemaster (long story) for the media. 9. Williams Research Center - Historic New Orleans Collection. Did you have German ancestors in New Orleans? The history is strong, almost overwhelming and you wouldn't want to miss this repository. Be sure to review their digital collection. One of our elusive Alsace projects were solved thanks to this repository. Ethnic geography map of New Orleans showing generalized distributions of ethnic and racial groups in the city, c. 1850 to c. 1910 may assist with your search. We wouldn't be a3Genealogy if we overlooked the historical hotel archives. As readers already know, we usually check-in to a historic hotel and make an appointment with the archivist in advance. These historic hotels are lovely and filled with luxury and elegance, and (often hold) great historical records. A listing of historical hotels can be found on the Historic Hotels of America website. 10. The Roosevelt - Waldorf Astoria. For this visit we stayed at The Roosevelt - Waldorf Astoria. 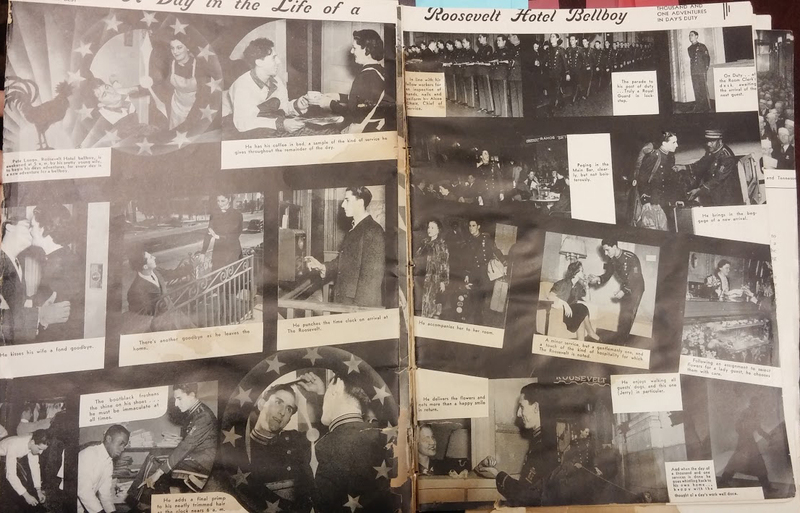 Like many historic hotels, the Roosevelt had a popular published magazine, The Roosevelt Review, that announced visitors and entertainers. Like other upscale historic hotels waiters and staff were also featured. Did your ancestor pass through the majestic doors of the Roosevelt? The hotel holds a complete collection of the Roosevelt Review, but researchers must be able to narrow timeframe, as this magazine is not indexed. The magazine can also be used for a taste of social history.We did locate an Index of Roosevelt Review at the Louisiana Division New Orleans Public Library. The Roosevelt Review is also a valuable resource for African American research. 11. Dauphine Orleans Hotel: It is said the records date back to 1775. Although time (and job) did not required us to peruse the records, the history and records should be reviewed for that "one" ancestor who may have visited the early brothel. There is an historian, who seems to know much about the hotel and has valuable information. Let us know what you find! 12. New Orleans on the Greater New Orleans Archivists , If you still have not located that pesky ancestor playing hide and seek, be sure to review this impressive link of archival repositories on the New Orleans on the Greater New Orleans Archivists site.